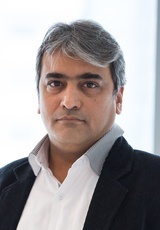 Qamar’s responsibilities include design of sustainable and practicable mechanical systems and his ability to implement effective design strategies with a blend of cost consciousness and adaptability. Qamar is responsible for ensuring that TJEG’s design and Post Contract services meet the needs of our clients and that all our departments are fully coordinated. Qamar’s core competencies include design and site supervision of Building Services Projects and District Cooling Plants. He has participated in the design of numerous industrial facilities, and has deep knowledge of international standards such as NFPA.